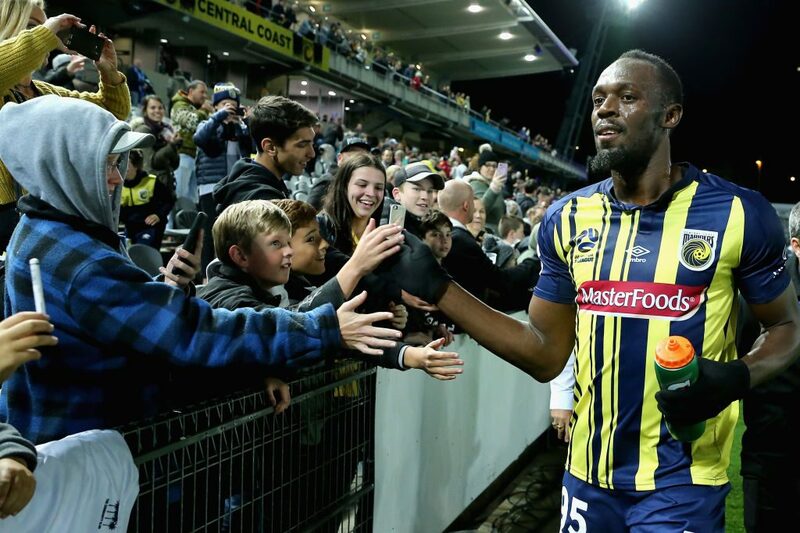 Sprint king Usain Bolt fulfilled a boyhood dream Friday in making his much-anticipated football debut, exciting fans but tiring quickly in a 20-minute cameo for Australia’s Central Coast Mariners. The Jamaican superstar, a huge Manchester United fan, has been handed a chance to train with the A-League side for an indefinite period in a bid to prove he has what it takes to earn a professional playing contract. His arrival has generated a massive buzz at the club’s base in Gosford, 47 miles north of Sydney, and some 10,000 people packed the Central Coast Stadium – a virtually unprecedented turnout for a pre-season game. It wasn’t quite Old Trafford but there was a lively atmosphere with a brass band on hand to get the crowd going. “It’s a wonderful moment to play at a high level, in professional football,” Bolt said after the Mariners beat an amateur side 6-1. After only a handful of training sessions since arriving last week, the fastest man on earth watched avidly from the bench as the Mariners began dismantling the Central Coast select side. They were 5-0 up at a half-time and a massacre seemed imminent, but the part-timers battled hard in the second half. The eight-time Olympic champion wore gloves and appeared relaxed, despite his nerves, as he followed the match intently. Wearing the number 95 shirt in a nod to his 100m world record time, he finally made his entrance after 71 minutes to huge cheers from the crowd and fireworks. Starting on the left wing, he fluffed his first touch, making a run on the inside only for the through ball to hit him on the heel. He got himself in the box soon after but a cross whipped in from the left went over his head. Playing more centrally he didn’t get much of a look in, jumping for another cross that again sailed high. His best touch came 10 minutes after coming on when he controlled a bobbling ball with his right foot, rode a challenge and laid it off with his left foot. Before the game Bolt admitted he was not match fit and pouring with sweat he tired quickly before a late flurry, narrowly failing to get on the end of a low cross after a sprint into the box, and then having a shot blocked. 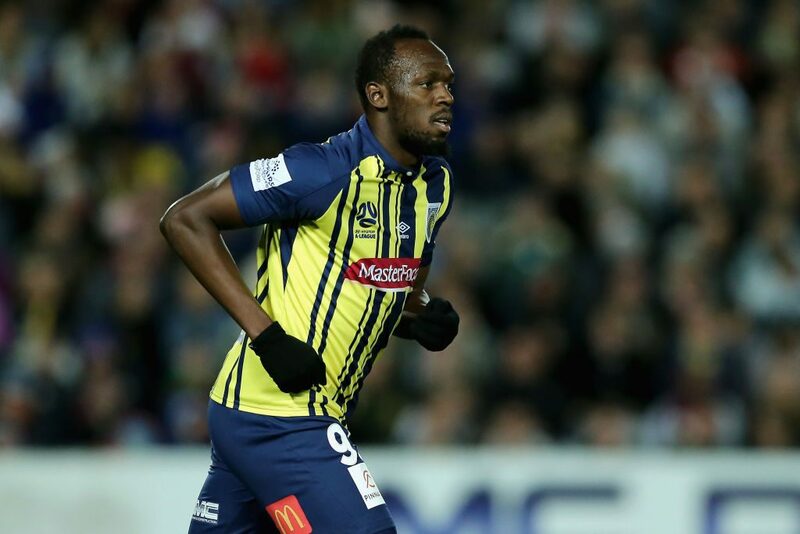 Bolt, who retired from athletics last year, has previously tried out with clubs in Germany, South Africa and Norway to no avail, with the Mariners hoping to turn him into A-League material for when the season starts in late October.